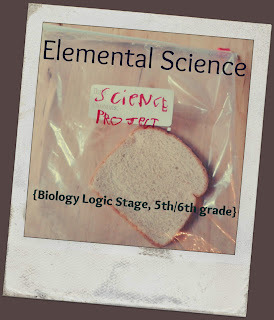 First of all, thanks for all the great responses to my Elemental Science, Biology for Logic Stage review. Congratulations to Amanda for winning her own Biology for Logic program! Sliced sandwich bread after 11 days. 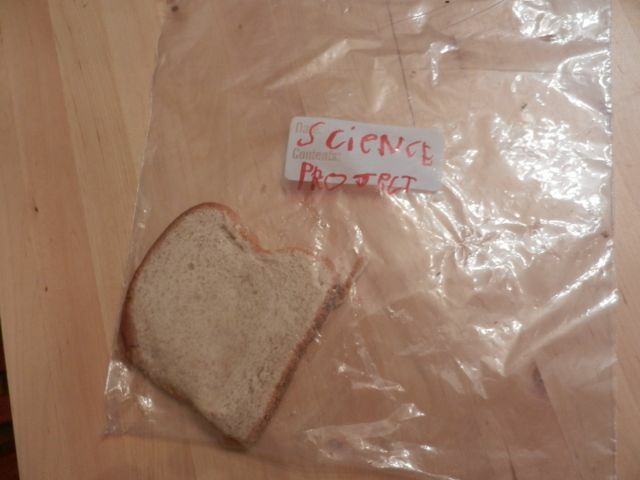 Yeah, so we're pretty grossed out by all the preservatives in the sandwich bread. Then again, we hardly ever eat it, so I guess it's good that it doesn't get moldy! 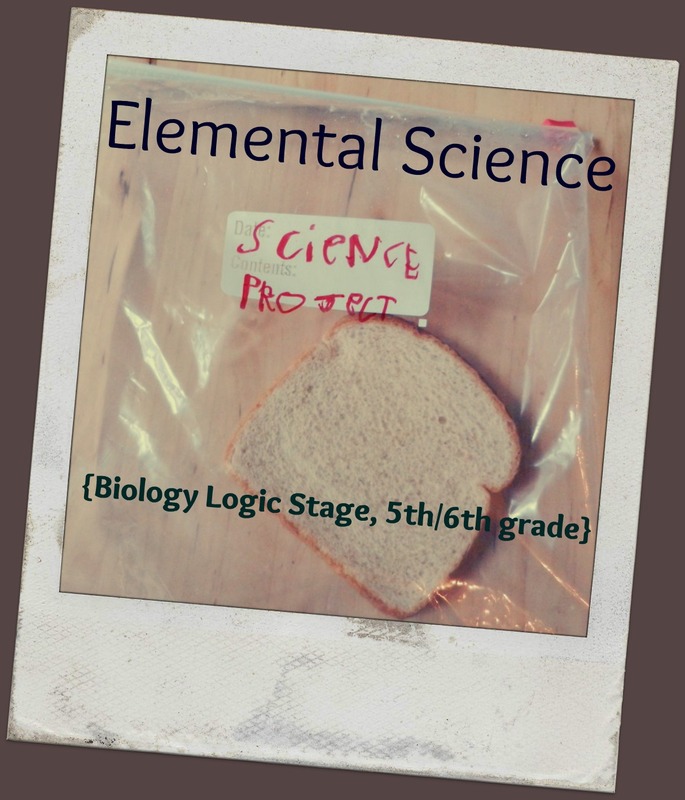 For those of you who didn't win, don't forget that you can purchase your own Elemental Science program! Obviously, I highly recommend it. 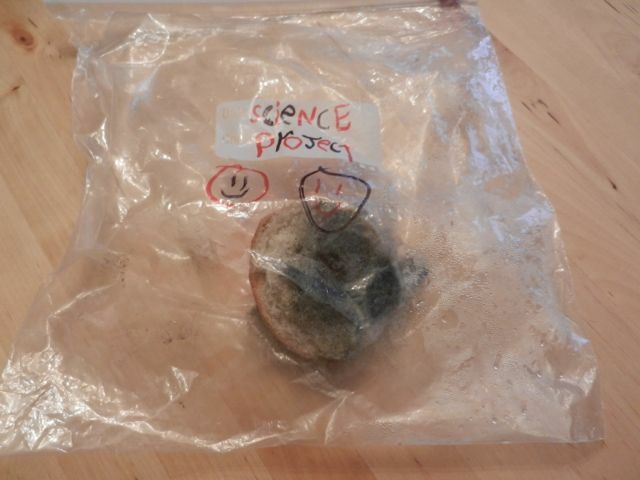 And, um, don't open the ziploc baggie if you do the mold project. Okay, that is just disturbing that it still looks the same. We found a MoJo bar in a box of junk in the garage when we were cleaning this spring. Who know where that had been, probably when we cleaned the car out at some time last year. Opened it up, looked like a bar right off the shelf. Yuck. Bummed I missed the giveaway, but thank you for a *fantastic* review!! And yes, the bread, that is appalling!